Pavel Anisimov, Director for industry development of digital economy, presented an updated plan for the deployment of 5G networks in Russia during the business program of the CSTB-2019 forum. "There is a national project "Digital economy", which has one of the Federal projects "Information infrastructure", including the development of 5G in Russia. 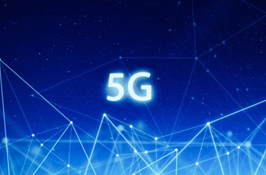 By the end of this quarter, colleagues from the Telecom industry and experts should form the concept of 5G development in Russia. By the end of the year, they are expected to plan to clear the frequency range for the development of 5G. Until 2021 there will be the actual clearing of the range with parallel piloting in those regions that will be invited to participate in the testing. 2022 is planned as a point of deployment of 5G in megalopolises",-said Anisimov.